Get ready to make some hotel reservations for all those eager out-of-town friends and relatives. 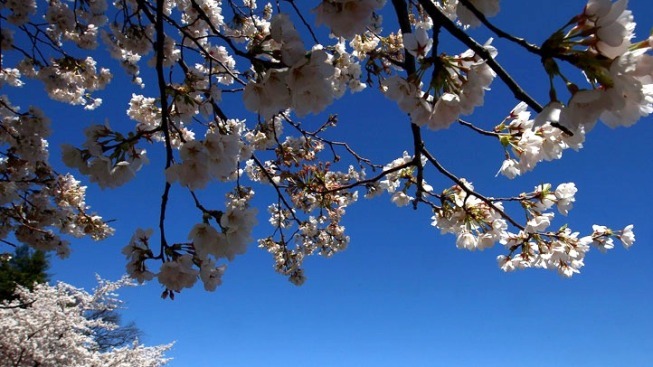 The planners of the Cherry Blossom Festival announced the blossoms' peak blooming period today. 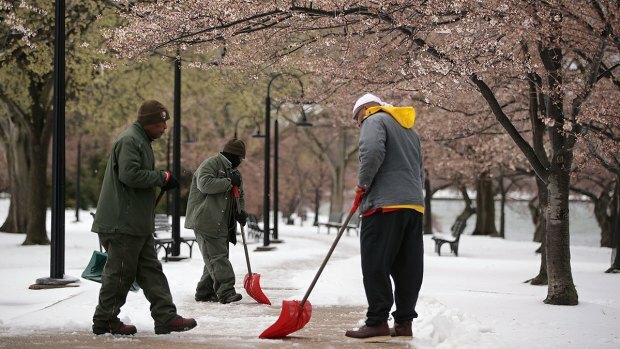 Joe DeFeo, chief horticulturalist with the National Park Service, predicts the peak will happen between March 29 and April 3. Peak bloom is the period when 70 percent of the blossoms are open. 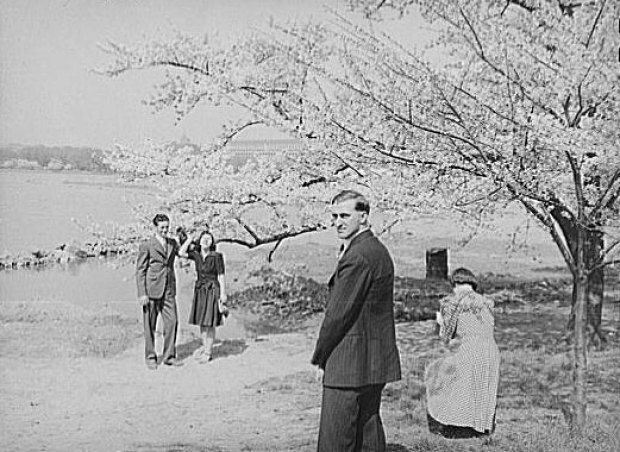 Cherry blossoms can last up to 14 days if the weather cooperates, so the bloom period typically extends several days before and after the peak. DeFeo reports that the 3,000 cherry trees are healthy and were not damaged in any of the severe storms that hit the area in recent weeks. Of course, the dates for the festival are already established. This year it's running from Saturday, March 26 through Sunday, April 10. The festivities are punctuated by notable events such as the Cherry Blossom 10-Miler (April 3) and the Sakura Matsuri Japanese Street Festival (April 9), plus daily music and dance performances. 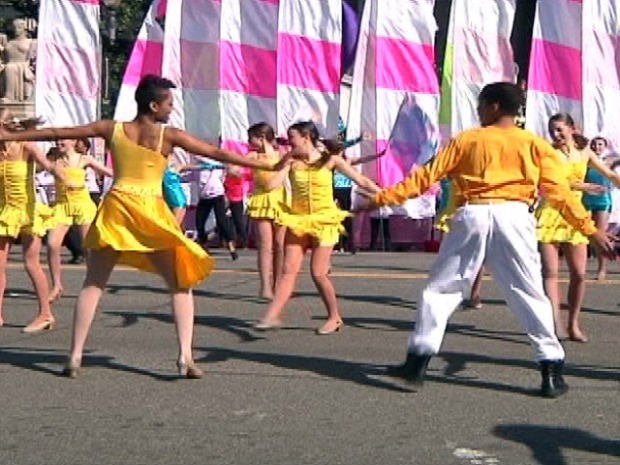 The Cherry Blossom Parade kicked off with marching bands, floats and balloons to celebrate. Something else new and notable: This year, you can buy a tree from the Arbor Day Foundation's nursery, and a portion of the proceeds will benefit the festival.